The world is moving towards a technologically oriented lifestyle: a future where modern advancements blend in with how we work, play, and live. More and more innovations are being made in the fields of science, technology and infrastructure that allow us to seamlessly blend in tech with life: a smart way of living. All around the world, there are initiatives and movements that are pushing this development: smart cities. Able to efficiently use modern technology with the timeless needs of a community and living space, these smart cities are paving the way for the future with fully realising the potential that our technology can offer. 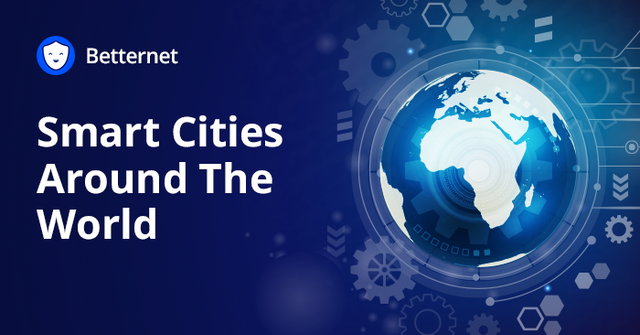 Before looking at some of these cities, a good place to start with is a major factor that made such smart technology possible: the IoT, or the Internet of Things. The primary function of the internet when it was first invented was to make communication between individuals easier: a network that allowed people to exchange dialogue, information and ideas much faster than traditional methods. Over time, we began tinkering and developing with the tools that we used to communicate with each other and found out that we could have them communicate amongst themselves as well as us. After this, things like smart lights, kitchens, and workspaces were born. Soon after, entire cities decided to fully embrace this development, and integrate it into their daily routines. As one of the most crowded cities in the world, Los Angeles faces a daily struggle with parking as both its residents and tourists vie for space. With so much to do in the city, the simple task of looking for parking becomes difficult, not to mention unnecessarily time-consuming. The project LA Express Park aims to solve this problem by integrating parking with your smartphone. Using wireless sensors, you’re able to keep track of any open parking spaces, and pay with digital currency using your smartphone. For roads that are often frozen over during the winter, de-icing them can often spell the difference between life and death for the residents that drive over it. An initiative in the UK went a step further and installed Wintersense, an IoT enabled lighting system that allows street lamps to monitor the road temperature in their areas. This, in turn, enables them to assist and give information to those working on the maintenance of these roads. As a popular tourist destination, Amsterdam has always led the charge in innovating its streets for residents and tourists alike. One of their more recent efforts is Climate Street, where shops in the area converted their business operations towards a more environmentally-friendly model. The street is fitted with low-energy and efficient lighting, while the compactor trash disposals are solar-powered. Additionally, all shops must follow a strict recycling scheme, allowing them to cut down on costs and help build a cleaner community. While few in number, smart cities are leading the way in showing that technology doesn’t have to be so separate from our lives. In fact, they can be used to create better living conditions for us and the environment that we live in. Betternet is a free VPN software that allows you to access the internet on your tablet or smartphone while protecting your privacy and data. It does this by encrypting your system and changing your IP address during your browsing sessions. What makes us different from other free VPN services is that we are transparent when it comes to how we make money and how we handle user data. You can learn more about these by visiting our site and by reading our blog. Access the best online streaming sites today by downloading Betternet, no registration required.